Many of you may not know this but there is a war going on within the well industry, a silent war, raging on for decades – this war has pitted fathers against sons and brothers against brothers, I’m speaking of course of the war between galvanized tanks vs bladder tanks. Dun, dun, DUN!!! 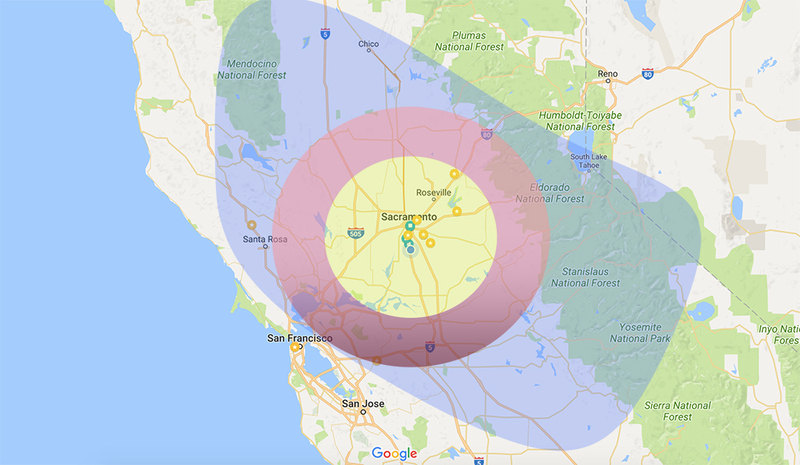 It’s really not that dramatic but a rift does exist – Companies who use old, heavy, hot, ugly, cumbersome, galvanized pressure tanks that Grandpa used to use and those who use bladder style pressure tanks. Guess which one we install? …Give up? Okay, I’ll give you a hint – It ain’t your grandpa’s tank. Jokes aside, I don’t actually have any real issues with the old “air-over-water” style galvanized pressure tanks, after all, they have worked well for many people for many years. As you’ll see in this post, they sometimes have a place but I think you’ll quickly see why the bladder tank has slowly been stealing market share from the galvanized tank for the last few decades. For the purposes of this post, we will be examining the differences between “air-over-water” and “bladder” style tanks – diaphragm tanks are not used regularly in our neck of the woods by any reputable company so we will be ignoring them for now. First, we must establish that – for the purposes of practical use, water itself cannot be compressed. Air however, can be compressed. 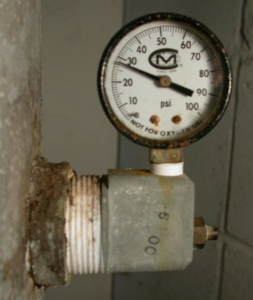 and, if you’ve read my blog post relating to why tank sizing is important (if not-now would be a good time – http://www.hedmandrilling.com/blog/tank-sizing) then you will understand the need for pressure tanks to begin with. 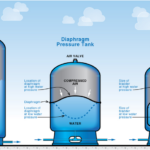 Galvanized tanks (aka “air-over-water” tanks) are steel pressure vessels commonly used in water well pump systems. The galvanized tank system has multiple components but is pretty simple when you understand how they work. As the well pump pushes water into the tank, the air above the water is trapped and will compress as the water fills until the system reaches the preset cut-out pressure (usually 50 or 60 psi for residential use but can change based on specific applications). 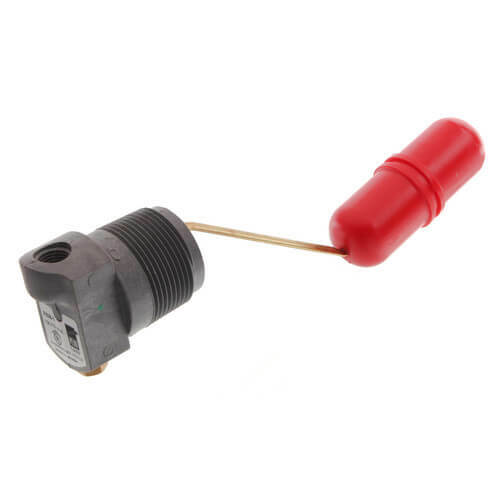 These systems rely on three small mechanical components to work: the air volume control, the snifter (or schrader) valve, and the bleeder valve. An air volume control (pictured left) is a simple float operated valve mounted to the side of a galvanized tank. As the water fills the tank for the first time, the valve will be releasing air and when the water reaches a certain level (usually about halfway up the tank), the water lifts the float and in turn closes the valve so that the water doesn’t squirt out. The purpose of this component is to release air when the tank has too much air in it. We will get into some of the causes of too much air later. It’s worth noting that usually, a pressure gauge will be mounted directly into the air volume control on the side of the tank, as shown on the right. 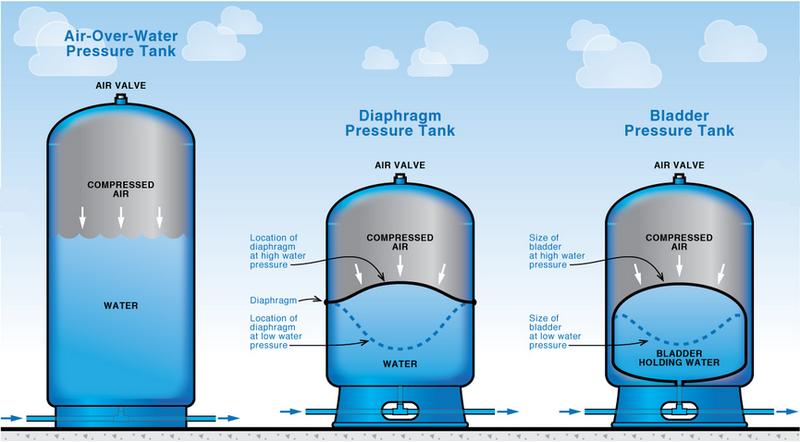 The other components of an air-over-water tank are the snifter valve and the bleeder valve. These 2 components work hand in hand (along with the air volume control) to keep the proper amount of air in the tank. The bleeder valve is usually mounted on the second “stick” of drop pipe inside the well (20-21′ below the well head) and the job of the bleeder is to drain all the water from the first piece of drop pipe. It has a flap that closes when the pump starts and pushes the column of air in the first pipe up and into the tank, (glug, glug). The water flowing through the pipe forces the flap closed and the pressure keeps it closed, not allowing water to squirt out into the well. Then, when the system reaches cut-out pressure, the pump turns off, the flap opens and the water drains out of the first piece of drop pipe again and down into the well. This was some great information! I can see now how pressure tanks are an important component of private wells as they help water from falling below a safe level. We have a well near our home and if it ever needs fixing we will make sure we call a professional!